Media and News coverage of our little shop. Old Capitol Books manager Stephanie Spoto and bookseller Brian Sheffield organize literary events. Our educational programs getting coverage in the Monterey Herald Go! Magazine, June 2014. “If you long for the company of deep thinkers, revolutionaries and literary giants, the 9-foot-tall stacks at Old Capitol Books aren’t a bad place to start. Down one aisle, up another, and you’ve brushed past millions of pages popping with the ideas of John Locke, Karl Marx and Simone de Beauvoir. Around a corner, up another row, and your fingers are rubbing the spines of Goethe, John Steinbeck and Robinson Jeffers. “An evening of daring ideas highlights an emerging literary scene.” by Arvin Temkar. MC Weekly. 10 April 2014. Old Capitol Books gets a good review in the SFGate. “Bookstores carry on Monterey’s literary tradition,” by Christine Delsol. SFGate.com. 7 March 2014. Matthew Sundt at Old Capitol Books. “Even as national book chains sputter, local booksellers see a bright future”. Monterey County Weekly. 6 December 2012. Bikes and Books at Bookbuyers Monterey. “Shopping by Bike”. Bicycling Monterey. 29 November 2012. 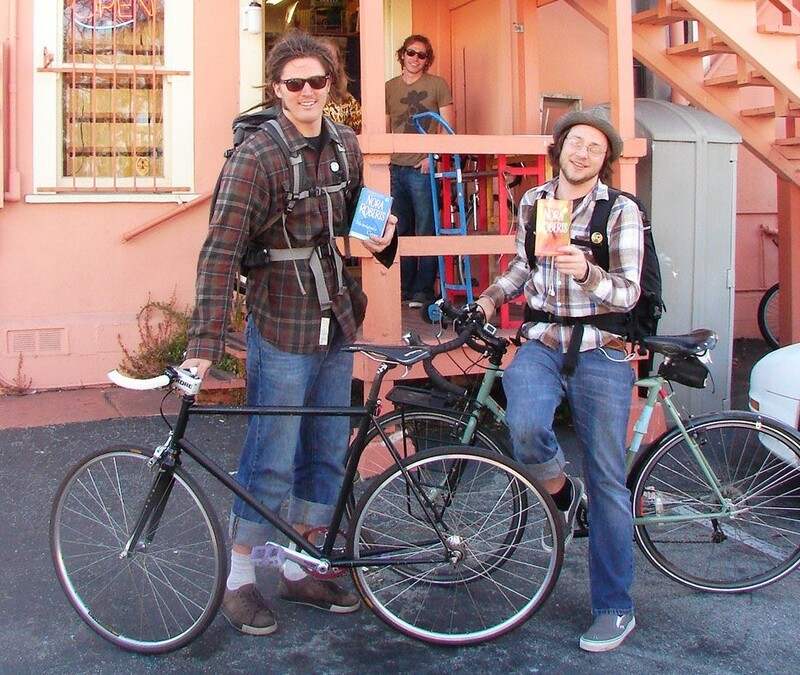 Bookbuyers Monterey and Old Capitol Books feature in Bicycling Monterey! Horray books and bikes! 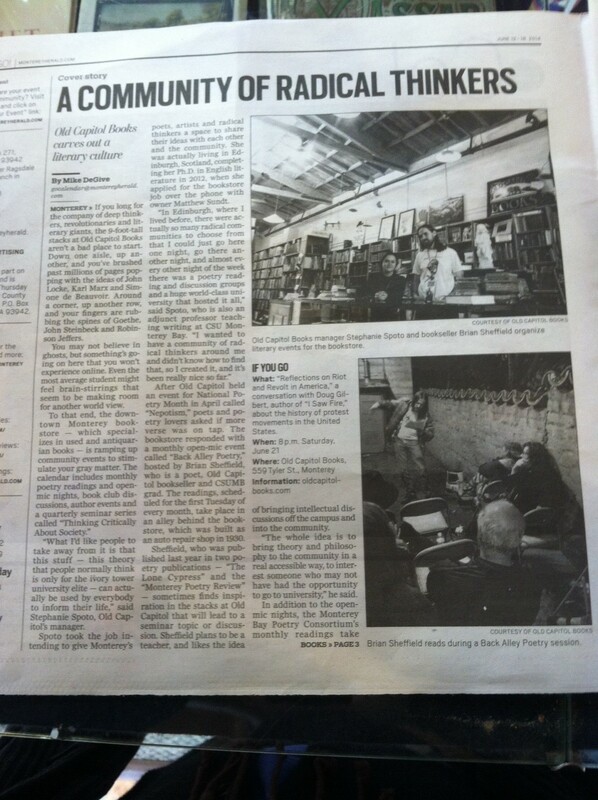 Old Capitol Books in the Monterey Herald. “Business Briefs: Book Haven Reopens as Old Capitol Books in Monterey”. Monterey Herald. 26 November 2012.